THIS IS A GUEST BLOG WRITTEN BY ISRAEL ROTHERMAN – THE VIEWS AND OPINIONS EXPRESSED HEREIN DO NOT NECESSARILY REFLECT THE OPINIONS OF THE COQUAT LAW FIRM. Texas is one of the top states for issuing traffic tickets, especially in San Antonio, Bexar County, Comal County, and Guadalupe County. Law enforcement will swear up and down they don’t have quotas and their practices aren’t predatory, but just drive through Texas and notice how often you see unmarked or barely marked patrol cruisers hiding deep on the road’s shoulder, just over hills, in the shadow of an overpass or behind a clump of bushes that line most of Texas’ highways. Right at the end of one particular month, back when I lived in San Antonio, Texas, I remember seeing the side of a major thoroughfare going into the city lined with parked cars every quarter of a mile or so; there was a patrol car with lights a-flashing behind every one of them…..They were all being ticketed at the same time. Another time, on a single day, on the first day of one of these police stings, and WITHOUT BREAKING THE LAW, I received…..wait for it…..wait for it….over $779.00 in traffic ticket fines from the Boerne police department. But the cops don’t have quotas and they’re not predatory….right? Right? Yeah, sure! Fortunately, I hired a Traffic Ticket Lawyer who got my multiple citations reduced to barely over $200.00 in fines and two of the four tickets just dismissed outright. Total cost paid to my ticket lawyer – $200! Make no mistake, these “law enforcement officers” are scary, clannish types, and they can do just about anything they want. They’re basically robots with guns, who follow orders like mindless automatons, and who can wreck your driving record or your life, unless you get legal representation – get it! I was totally innocent, but that innocence didn’t matter. 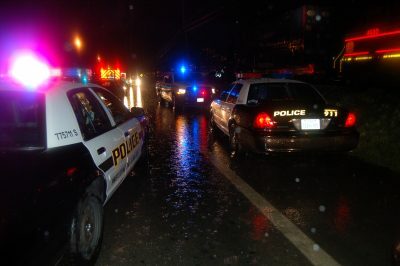 That innocence got in the way of Boerne police department’s bottom line $$$ – get it! If you have been the victim of a speed trap or predatory police sting, you need to call my client immediately: these guys are the original flat fee San Antonio traffic ticket lawyers. You pay a low flat fee of only going $150 per citation to have a truly skilled ticket attorney appear in court for you and completely beat, or drastically reduce, your tickets. The boys at this law firm are so damn good because of their knowledge of the traffic laws and their aggressive defense against the cops unabashed predatory practices. My experience is prosecutors want to immediately settle, and judges are more than willing to go along to get along, when a ticket attorney is present. When I was taken advantage of, I had driven carefully, slowly all the way through town. No sirens, no lights, no OJ style chase in a white Branco – then, I pulled into a teller at my bank to use the machine. All hell broke loose. Flashing red and blue lights came on behind me, two men pointed guns at me and shouted “Let me see your hands!” – they claimed they had been following me for eight blocks, and wrote three tickets for nearly $800.00 right there including supposedly running a stop sign! EVEN IF what they had said were true, which it isn’t, do cops really need to pull guns on a citizen they are sworn to protect for an infraction like running a stop sign? Fortunately, the local judges are aware of these practices and with proper representation these tickets are often completely removed! 5 Responses to "210-745-2825 | NEEDED | San Antonio Traffic Ticket Lawyer"
I received a traffic citation back in October for Speeding and need to get it cleared off of my record. It is still open and a warrant was issued. I was in the military and moved away from the area and will not be returning. Please let me know what my options are. Thank you in advance! Thanks for the inquiry. Given you didn’t provide us with information about where your ticket was issued or in which court, there’s not a lot we can tell you at this point in terms of options. Please give our firm a call at 210-745-2825 if you still need help with this issue.